Quick release Kew / Nito male probe coupler for use anywhere high pressure connections are..
For the ultimate in lance quick interchangeability If you are a professional cleaning contractor, i..
Quick release Kew / Nito female bayonet coupler for use anywhere high pressure conn..
TWO HOSES IN ONE !! 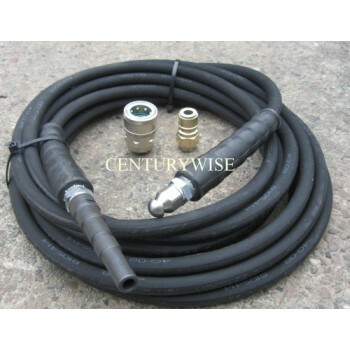 THIS IS PROFESSIONAL QUALITY JETTING HOSE, COMPLETE WITH ALL FITTINGS TO USE AS .. THIS IS PROFESSIONAL QUALITY JETTING HOSE TO REPLACE YOUR BROKEN OR WORN ORIGINAL HOSE. ALL ITEMS M..